OUR PRIVATE CHEF. YOUR HOME. When the most exclusive dinner reservation or party in town is at your place, entrust our Private Chef to make the evening unforgettable. Whether you’re looking to host a simple, intimate gathering or an extravagant affair, one of our hand-selected Private Chefs will prepare the menu you choose that fits your occasion, purchase the best ingredients, style your table and prepare menu in your kitchen, using their own tools and equipment. No crowds, no driving, no wait, no lines, just a private, unique and memorable experience for everyone involved. Our formal plated dinner service allows you to sit back and enjoy your own event. The best part? You can relax and chat with your guests while our Private Chef prepares a gourmet meal in your kitchen and served to your table. Our Private Chef prepares your entire meal in your home on the day of the event so you can see exactly what goes into making our dinners so special. We offer formal private dinners for up-to 15 guests and up to 5 courses. Your kitchen is cleaned as we found it, and you’re left with nothing but the aroma of a pleasant meal and happy guests. Canapes are great for groups of up-to 40 people. Our Private Chef offers canapes in a traditional passed fashion as well as stationary options where guests can help themselves. This service is perfect for meet-and-greet functions, casual parties, birthday parties, cocktail parties, special anniversaries or housewarmings to name a few. The perfect way to show your sweetheart that you really care! Relax in an intimate setting, sip wine and pamper yourselves while our Private chef prepares a gourmet multi-course meal in your own kitchen. Hiring a Private Chef for your very own date night is a unique, personalized and thoughtful gift that you and your love will remember for years to come. Select an entrée, main and dessert from our catering menu and our Private chef will prepare and cook the meal in your home kitchen before serving you and your guests at your table. All prices listed below inclusive of GST. For something a little more special, our degustation adds a touch of class and luxury to your dinner party. You can create your own degustation by selecting two entrees, two mains and one dessert from the three course menu. Much like a restaurant, availability depends on demand. If you have a particular date in mind, such as an anniversary or birthday, we recommend you book as far in advance as possible as we only take a limited number of bookings for Private Chefs each night. Yes, you can purchase a Temp Chefs Australia gift certificate for any amount. We also have corporate rates for bulk purchases. Contact us to find out more. A $5 postage fee per voucher, is incurred if the gift certificate is not emailed out. We service all areas of Metropolitan Brisbane. If you’re not sure whether we service your area, just let us know your location when you enquire about catering and we’ll let you know if our Private Chef can travel to you (outside of Brisbane, travel time may need to be negotiated). Your Private Chef will bring a small amount of cookware and utensils, the crockery, cutlery and serviettes required for your meal. You will need to provide a clean and useable kitchen, including a working oven and stove, some saucepans, frypans, baking trays and a suitable amount of fridge space. You will need to take care of glassware and drinks for your guests. Organic ingredients are used in lieu of conventional store-bought ingredients whenever possible for your dinner party. However, if you would prefer all organic ingredients an ‘all-organic charge’ will be added to your bill. Is a waitress/waiter included in price? A waitress/waiter is not included in our price but can be can be arranged at a cost of $40 per hour. Minimum shift time of 4 hours is required. Will I need to clean up after the dinner party? Our Private Chef will wash all the crockery, cutlery and cookware used, and clean your kitchen leaving it as we found it. You simply take care of the glassware and any other items you choose to use. How much time should I allow for the meal? On average a three course meal will take approximately two hours from start to finish, and the degustation will take approximately three hours. How much time do you need to prepare before the first course is served? This will vary depending on the size of your dinner party, although on average, your Private Chef will arrive two to three hours before you’d like the first course served and will leave approximately one hour after the last course is served. No, we do not supply drinks. Most restaurants charge a significant mark up on alcohol, so organising your own gives you the freedom to choose the drinks you’d like, at a reasonable price. Yes, we can cater for any dietary requirements including gluten free, dairy free, vegetarian, paleo and more. 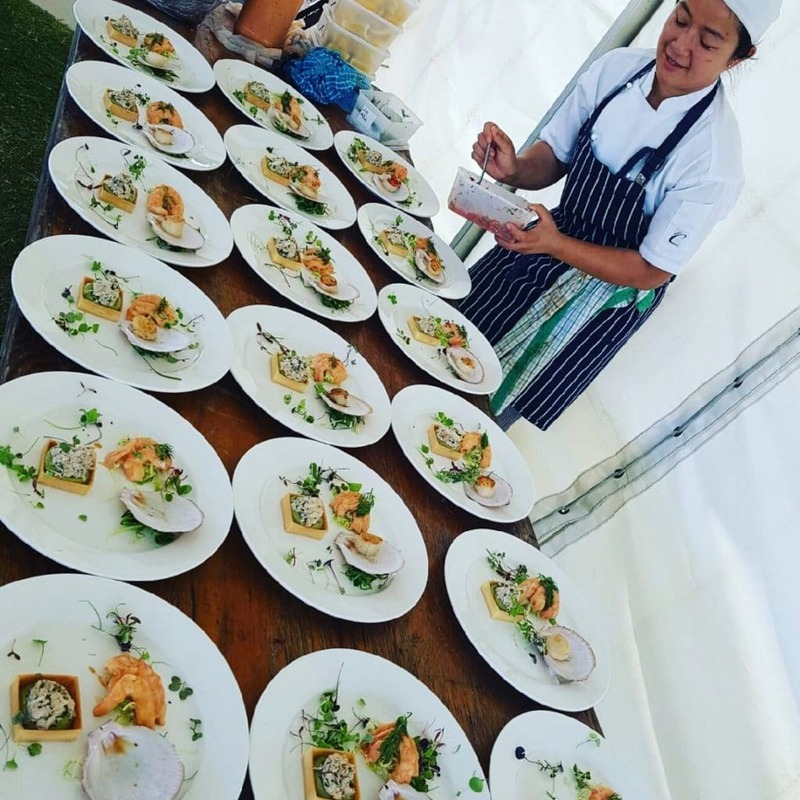 We know it’s hard to find a catering menu, let alone a degustation menu, that suits individual dietary requirements, but with Temp Chefs Australia, your personal chef will tailor the menu to suit you. An additional 1 hour consultation fee may apply for special menus. How do I pay for a Temp Chefs Australia dining experience or gift certificate? For private dining services a 50 % deposit is required at time of booking and the remaining balance must be paid 7 days prior to the function date. On completion of the function any outstanding costs will be debited from the payment details supplied on the initial account set up. For gift certificates, full payment is required before the gift certificate is mailed to you. Payments can be made by direct deposit or credit card. A 2.6% surcharge currently applies for all credit card transactions. If you let us know more than 7 days in advance, we will refund your deposit minus a $100 cancellation fee. If you let us know less than seven days in advance, we are unable to refund your deposit as we may have already purchased the ingredients for you meal and may have turned down other bookings in favour of your dinner party. If you’re looking for a gift that is unique and flexible, which also provides an experience that will long be remembered, consider giving your friend or loved one a Temp Chefs Australia ‘Private Chef Experience’ gift certificate. Gift certificates can be purchased for any Temp Chefs Australia service and are valid for twelve months. How to use your gift certificate? If you’ve been given a Temp Chefs Australia gift certificate, contact us to book a date and select a menu. Please let us know your gift certificate ID when booking. We love to take the time to make your event catering extra special, and any unique menu items or requests are welcomed.